If you are just beginning to scrapbook or have always had a yen to start, there are some essential tools that you need to have. These are your building blocks for all your projects. 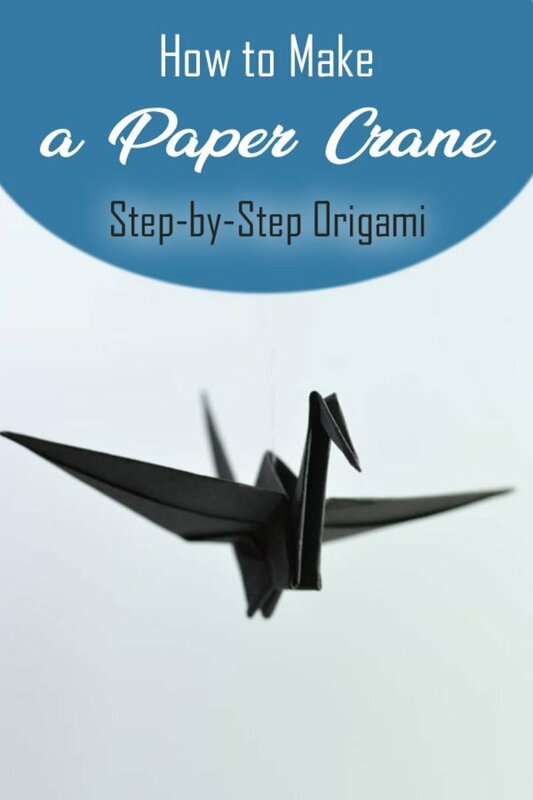 Paper crafting, scrapbooking and card making are loads of fun, but having the right tools makes all the difference between the joy of creating and utter frustration. Some of these tools you may already have in your home. Others you may need to purchase. 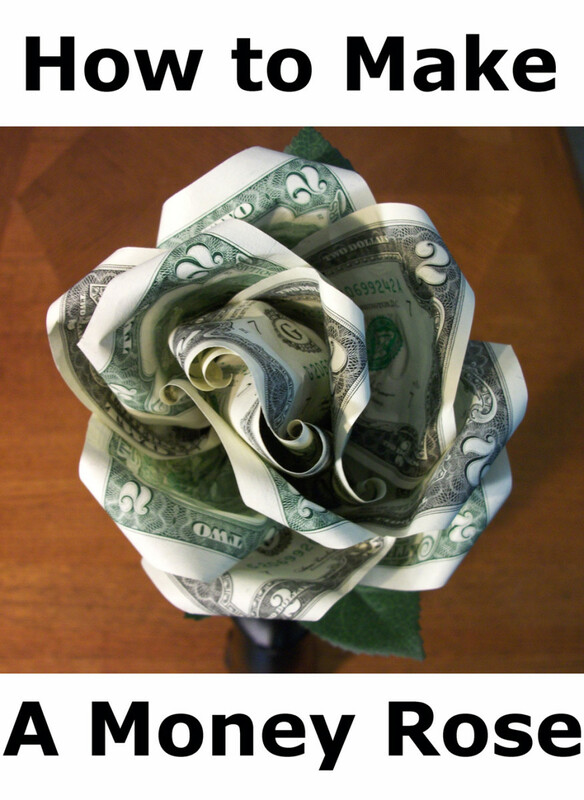 Most of them can be purchased very reasonably. Like any other hobby, the amount that you chose to spend depends on your budget and the space that you have to store them. We have included just the basic tools that will help you get started. As you go along, there are many other tools that you can add to your collection. You will get the most bang for your buck by having the best paper cutter that you can afford. Paper cutters are used to trim paper, photos, mats, and borders. They make very straight lines. 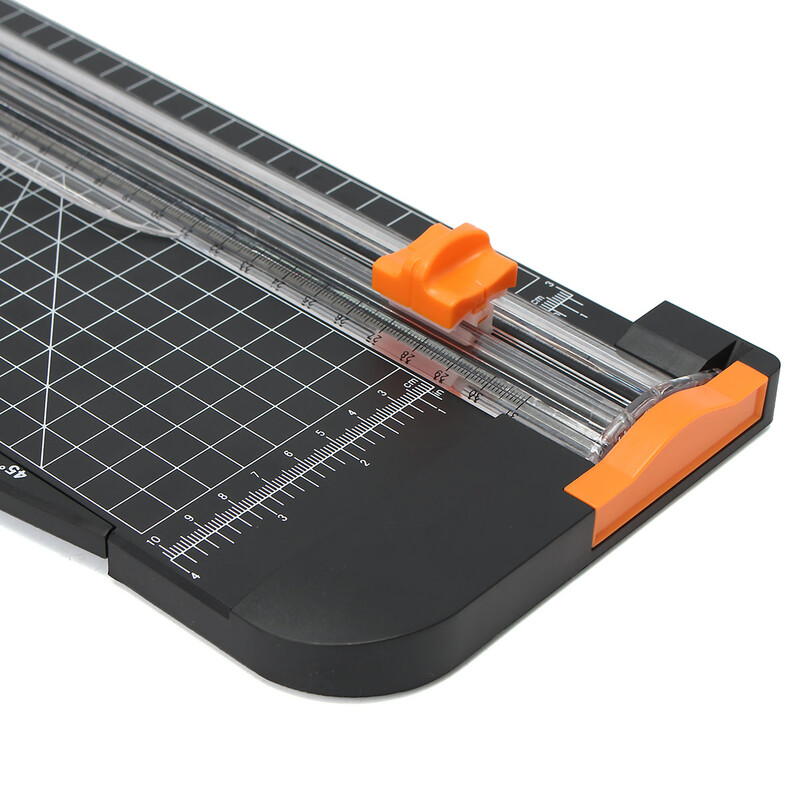 You will want to get a paper cutter that has cutting lines that measure by the inch. It makes all your tasks much easier. The most popular cutter is the rotating paper cutter. It has a flat base with a measuring grid. This cutter has a small blade that moves up and down to cut. The blade can be replaced when it gets dull. It may also include a scoring blade. The new laser cutters make cutting and seeing lines precise and ever so easy to use. There is also a guillotine paper cutter. This cutter has a long arm with a sharp blade attached to the arm. When you bring down the arm, the paper is cut. After a period of time, the blade on your paper cutter will become dull. The amount of time you can use it depends on the type of materials that you are cutting, the number of times that you use it and the quality of the blade. Tip: To keep getting a crisp cut, periodically clean the well where the blade cuts. 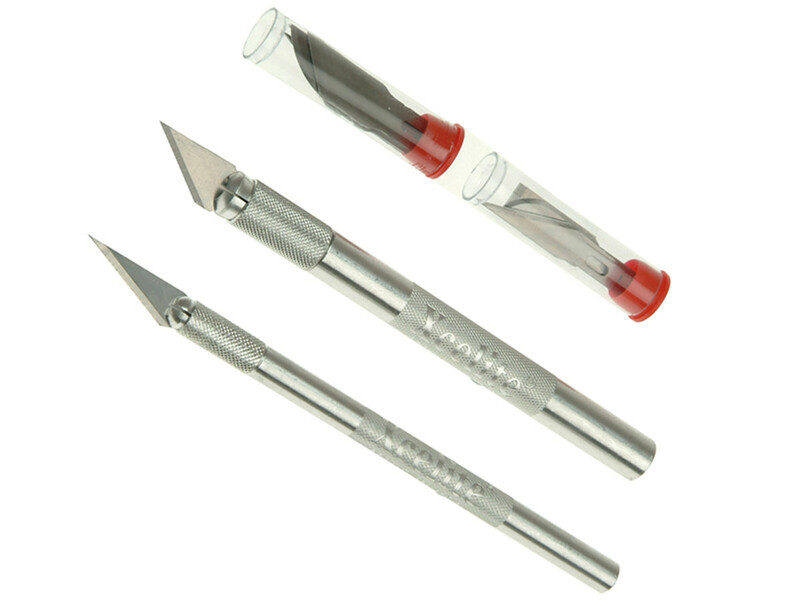 There are different types of corner punches that give pizazz to your scrapbook pages. 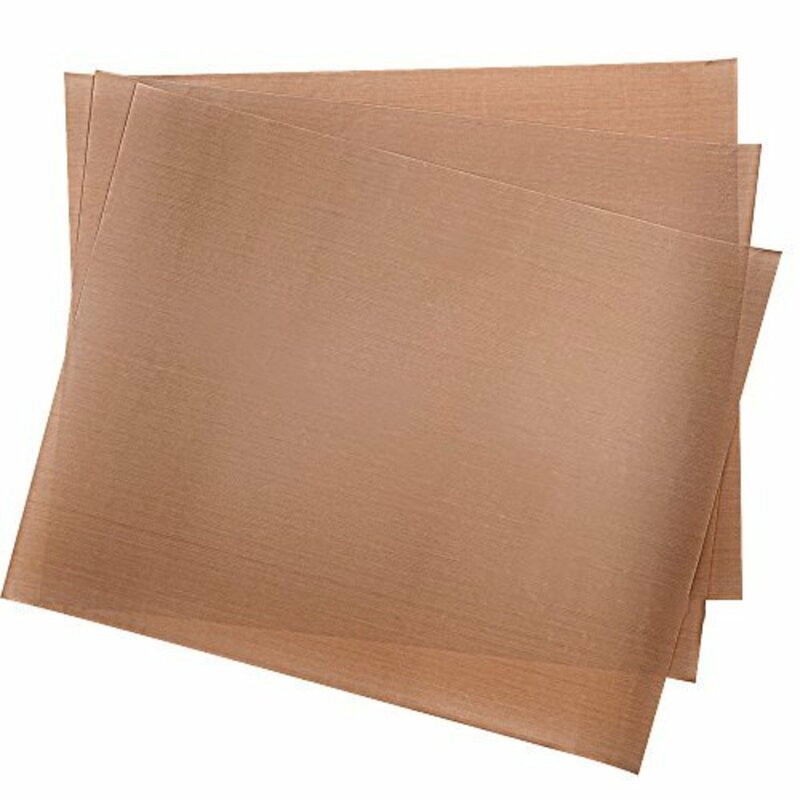 You can use them to "corner" your mats and photos. They just give that finished look that helps bring out your creativity. You only really need two types of rulers in your craft room. One is a metal ruler, and the other is a see-through clear ruler. Your acrylic ruler is one of the most versatile and handy tools you will own. You can see through it to the project that you are working on. Many rulers are marked with inches on one side and centimeters on the other. 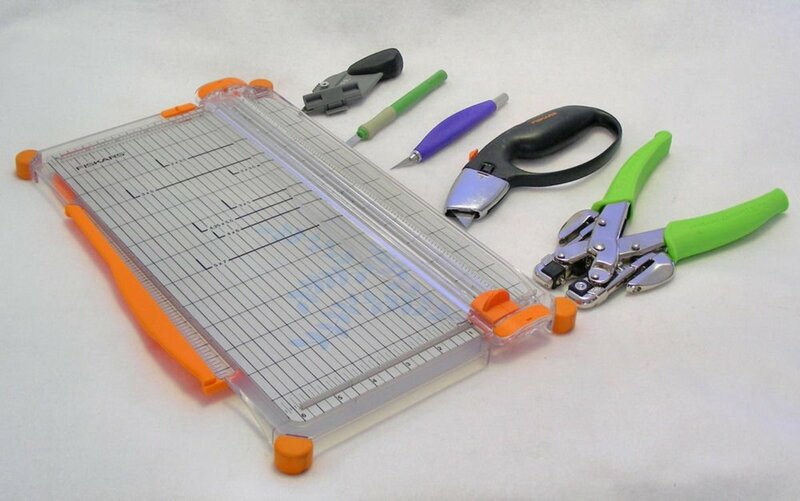 Cutting rulers are a tool that every paper crafter should have in their space. They are generally made of metal. They have a cutting edge. There is often a guard that protects your hands from getting cut. Some have a non-slip base. That is a feature that I would recommend. This ruler enables you, with a craft knife to make an even crisp cut on all kinds of different materials. 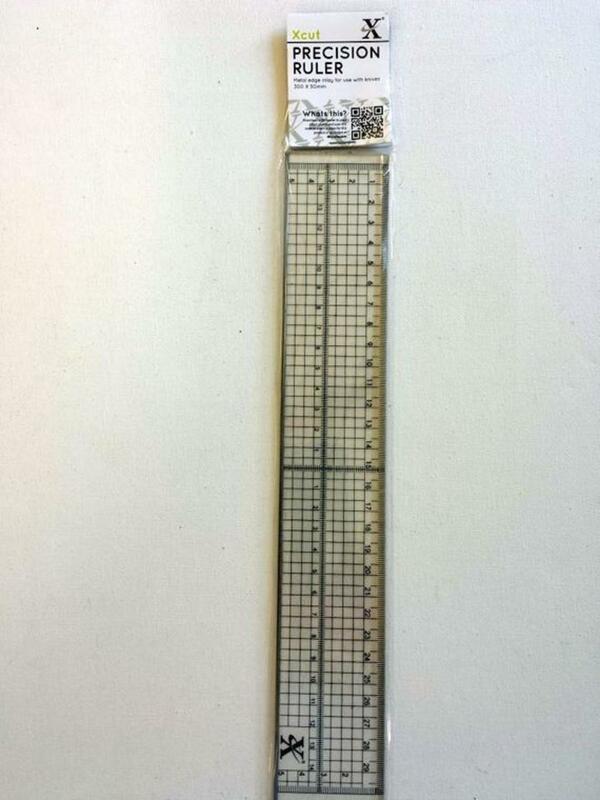 T shaped rulers help you place stamps and embellishments straight and even. There are several types of scissors that are must for paper crafters, Having the right scissors for the right job. makes all the difference in the world. Nonstick Coating-These scissors have a coating that will prevent them from getting sticky or gummy. This feature adds a little more to the cost, but since you will be cutting through tapes and adhesives, it may well be worth it. Heavy Duty-A special joint helps these scissors cut through heavy-duty materials. Well worth the extra cost, especially if you are going to cut materials like cork or foam. Handle Size-Lots of people prefer big handle size. Their claim to fame is that the bigger handle size causes less fatigue. Important if you suffer from arthritis. Sharpness- This is so important when cutting paper. You really want sharp precise cuts. Microtip scissors: These scissors are used to cut fine details. You will need them for various projects that require small detailed cuts. Decorative or Paper Edge Scissors: Used to make decorative edges like zigzags, or scallops. Sold in sets or as individual items. Detail Scissors: Small finely hones scissors that help you get around tight corners and intricate cuts. Decorative scissors are used to create decorative edges on all types of paper crafts. A craft knife is a much-needed tool for all paper crafters. It is a single bladed knife with a handle. It cuts through a variety of papers making it essential to all craft rooms and spaces. The handle can be wood, metal, or plastic. The blade is replaceable once the blade gets dull. They can assist you in cutting a single line or a shape. Some knives have additional features like folding blades and blade covers. There are different types of craft knives that may fit your paper crafting needs. There are light, medium and heavy-duty knives. There are also fingertip knives that are meant to wrap around your fingers for use. 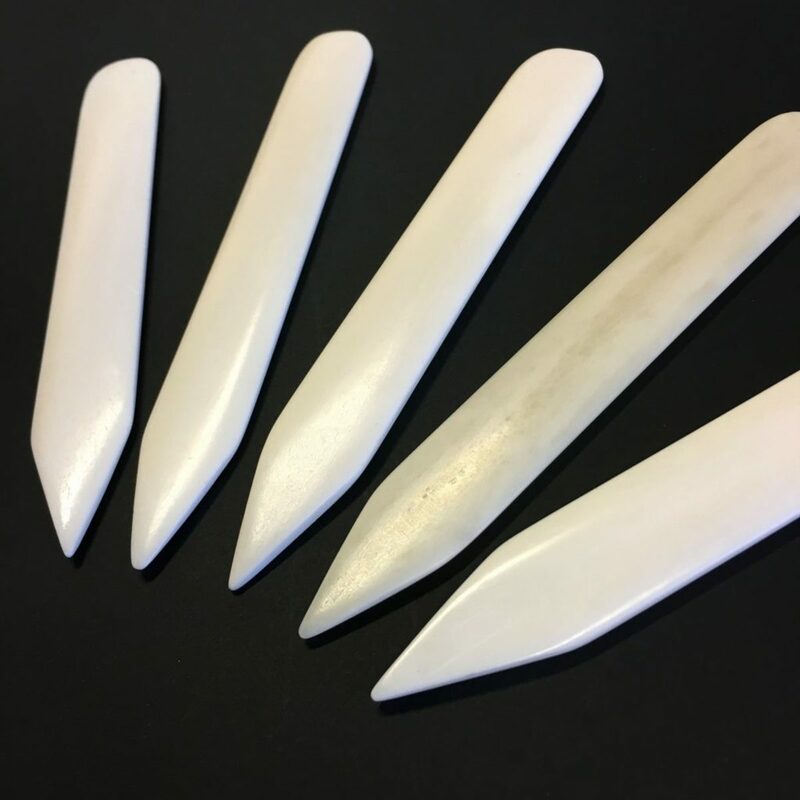 You can also find disposable craft knives. Scoring Blade: This blade cuts and scratches lines into lightweight materials. It allows you to change directions while you cut. Scalpel Blade: A favorite because of the extreme sharpness of the blade. It is one of the most precise blades. Swivel Blade: This is a very small blade that has a pivoting blade. 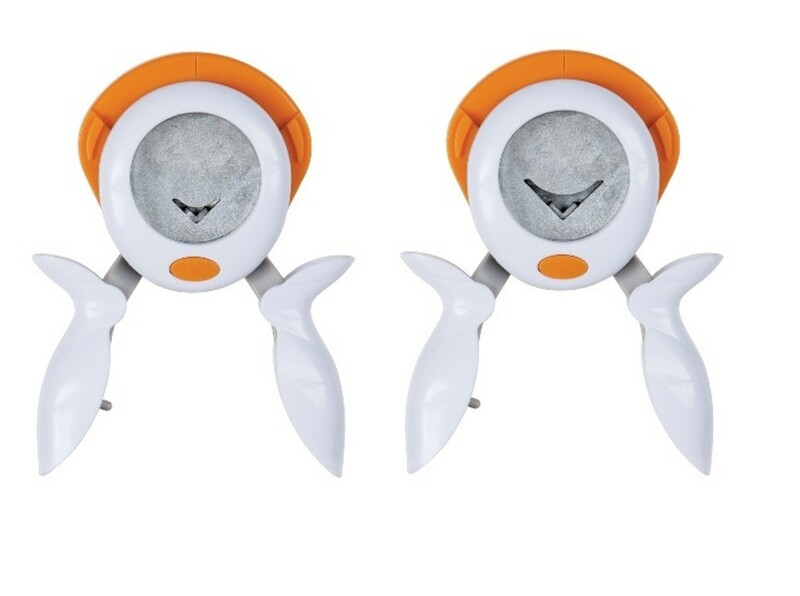 It can rotate 360 degrees, making it very popular for cutting circle and detailed cuts. Chose the right knives for the type of paper crafting that you are planning on doing. You should have at least one soft lead pencil and an eraser in your supplies. You will use it to mark and draw lines. 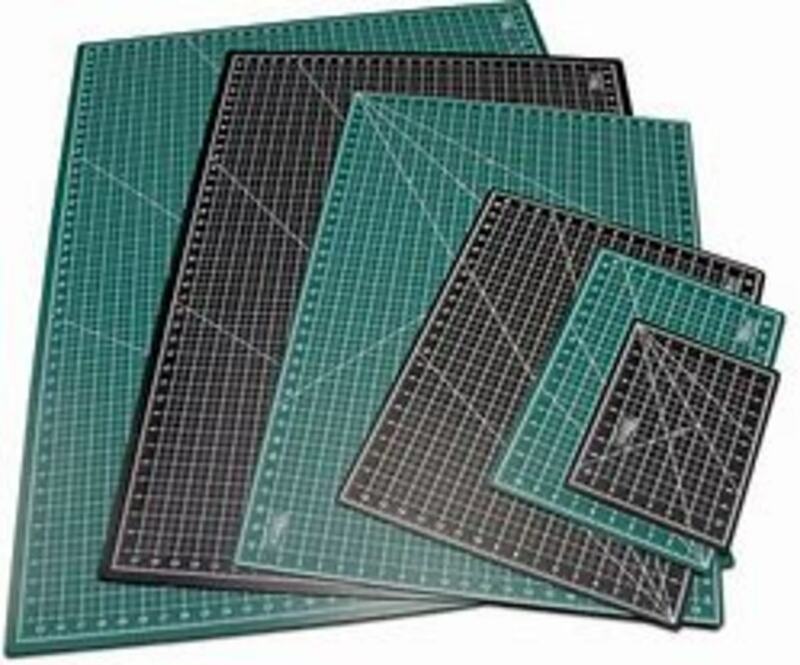 Nonstick craft mats or silicone mats are a totally essential tool for any serious papercraft artist. They protect any work surface from ink, paints, glues and more. Nothing sticks to it! They can also take high-temperature glues, waxes, and other high heat products. You can literally peel the drippings from your glue gun, right off the mat. They are generally sized at 15" x 18". I use old craft mats for Bible journaling by cutting them down to the size of a standard Bible page. You are able to use them on both sides. They are considered stain resistant. They are flexible and can be rolled or folded for storage. Self-healing mats are made of materials that have the ability to "heal" themselves even when cut into. They feature a non-glare surface that can be used on both sides. They are thicker than the non-stick craft mats. their thickness can be up to three millimeters in thickness. They come in all different sizes. Grid lines are visible, that can also include angled grid lines. Grid markings can come in different widths and lengths depending on the manufacturer. Glass mats are literally made of glass. They have a smooth surface. Many have rounded corners and printed grid lines. The grid lines may be in inches or metric measurements. You can of course cut on this mat, but there are more uses for this tool. 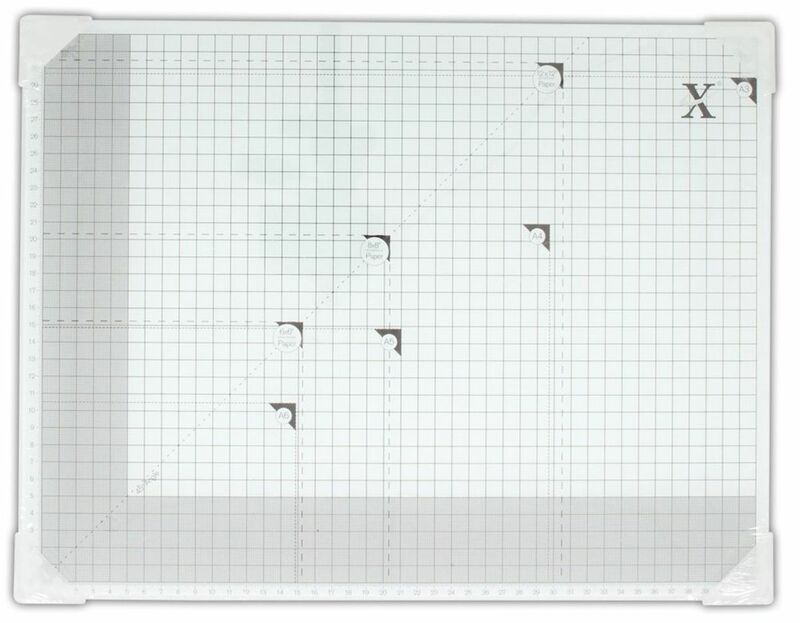 You can also use this versatile glass cutting mat as a paint and blending pallet or while working with hot glue. A bone folder is a tool that you need to create perfect folds on almost every paper project that you do. It is a dull-edged hand tool used to fold and crease material in crafts that require a sharp crease or fold. There are two kinds of bone folders. The older ones are actually made of animal bones. Many now are made of plastic. It has two ends. One is narrowed to a soft point. This helps you make deep scores in heavy weight paper. The second type of bone folder is made of Teflon. They are somewhat more flexible than a traditional bone folder. The best thing about this tool is that glue will not stick to it. The other advantage of this type of tool is that it will not burnish (leave a shine) on your paper. Place a ruler on the paper where you want the fold. Hold the ruler firmly in place with one hand. Run the pointed tip of a bone folder along the length of the ruler, pressing it firmly down as you go. Remove the ruler and fold the paper along the scored line. Another way to use the bone folder is for a scored crease that may have been scored in your electronic cutting machine. 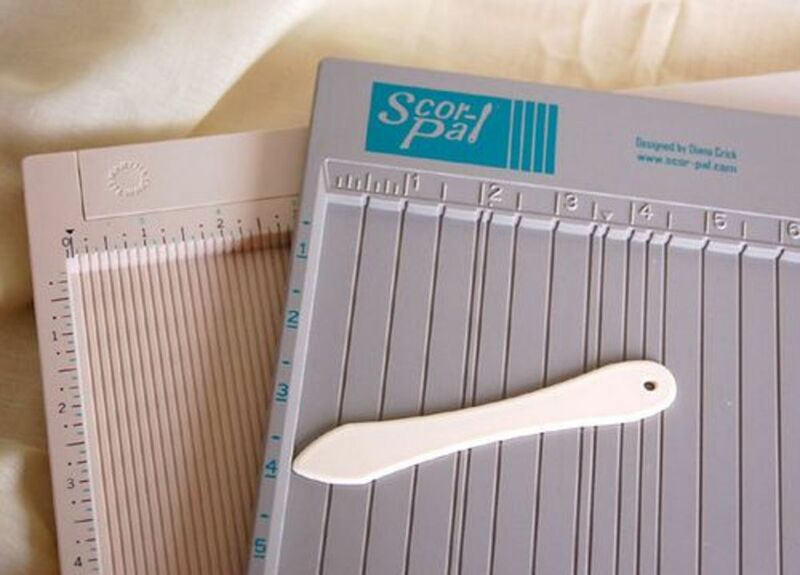 Usually, the score is a light crease, so you will need to use your bone folder to make the crease in your project. Using the score line fold the paper along the crease. Press flat with the base of your hands. Hold the bone folder perpendicular to the paper. You can also use a bone folder to hold items in place while gluing, making score lines, burnishing and scraping paper. It is a very useful tool that has multiple uses. Scoring boards are the tool that allows you to create crisp, clear, straight lines, every time. They are plastic boards that have measurement markings on the top and sides. There are indentations at each part of the entire board corresponding to inch marks. You use a thin bone folder to go down the indentation to create the line. You will want to use a scoreboard any time that you are going to make a fold in a paper. Scoring the paper before you fold it helps to stretch the paper and break down some of the fibers. This is important, especially with paper that might have coatings. The scored paper gives you a better fold every time. The most popular size is 14' x 13". 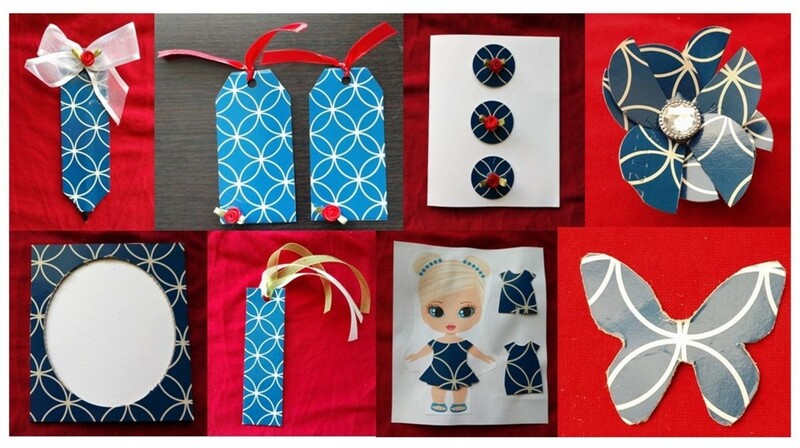 Other features that may be included is a template to help you make envelopes. Most include a thin bone folder that can be stored on the board itself. Place the paper on your scoreboard. Determine where you want to place the score. Always hold the paper down while you are scoring. Insert the bone folder into the grove and push down the groove. Always pull the bone folder towards you rather than pushing it away. There is less likelihood that the paper will move. These roller tools have multiple uses in your craft space. You can create stunning backgrounds. You can also add ink to large stamps. They are a standard size. You are going to want to get one with a detachable roller. There are rubber brayers and foam brayers. The rubber brayers are most useful for most paper and scrapbook projects and techniques. 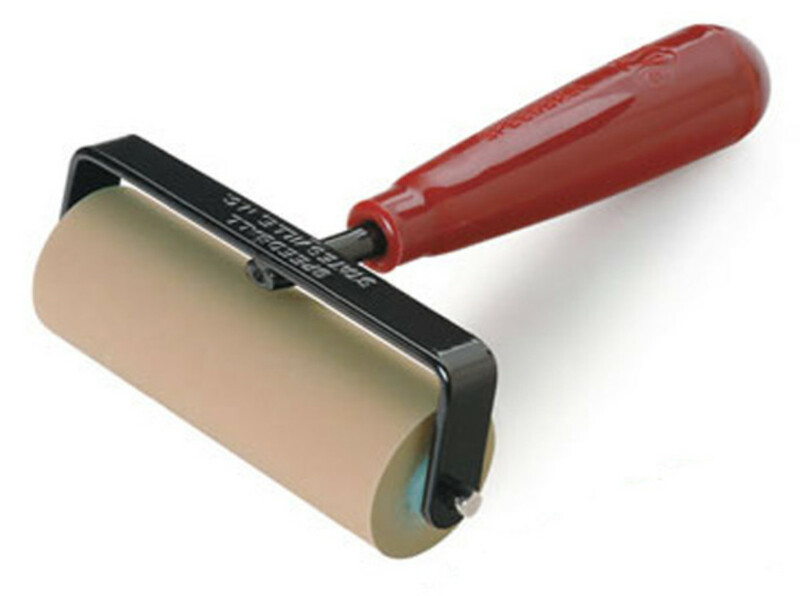 Because the roller of this brayer is rubber, you can treat it like you would a stamp. Sponge brayers are made with a foam barrel instead of rubber. They function in much the same way. They can be washed and reused if you are using water-soluble ink. Otherwise, they should be considered disposable, unless you use the same color and same medium. No matter what your paper craft interests are, you will want a selection of paint and craft brushes in your stash. If you plan to do any decorative painting, art journaling, bible journaling or planners, you will need a selection of brushes. 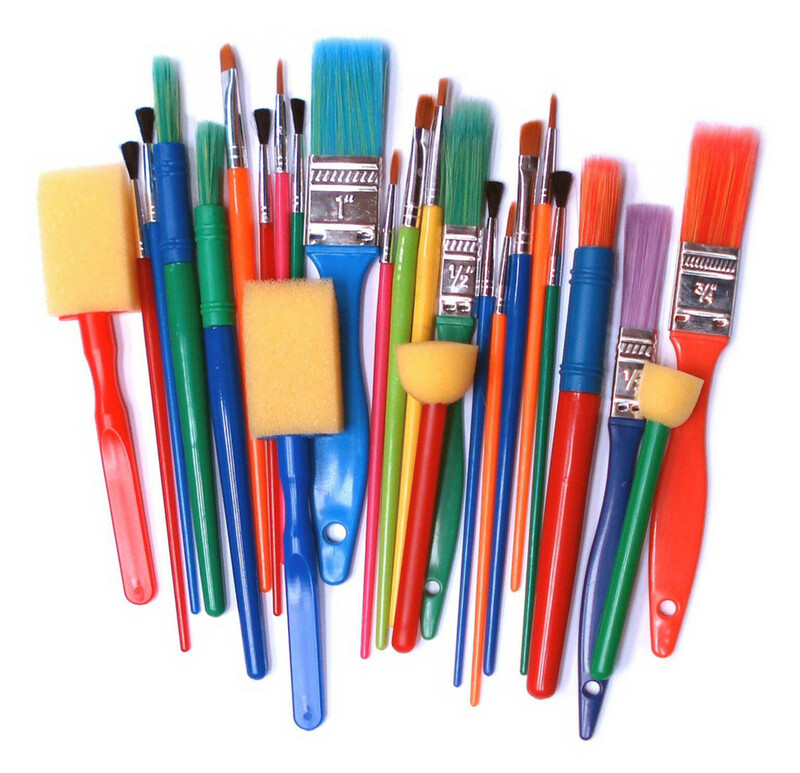 You can often find sets of brushes available as well as specialty brushes available as single purchases. If you plan on using watercolors in your paper crafts, you will want to have a selection of watercolor brushes available. A watercolor brush is different in that it is made to soak up the watercolor rather than holding it on the bristle of the brush. Available in two tip sizes, a detail tip or a wide brush tip, which can be used for a variety of creative painting techniques. Dab the water-filled brush with water-based inks, paints, and Perfect Pearls™ Powders. The controlled water delivery system allows for optimal paint mixing and surface coverage. Blending Brushes are firm bristled brushes designed to create soft blends for backgrounds. Use to easily apply Distress Inks and Distress Oxides® directly to the surface, or apply through stencils for shaded effects. Some are retractable. Use the Collage Mediums with an assortment of brushes specially designed for the application of all the Collage Mediums. They are available in different sizes and are often sold as a group. The Distress® Splatter Brush is designed to create unique effects with Distress® Ink, Paint, Stains, & more. Achieve various speckles, splatters, and texture on your mixed-media projects using your favorite art mediums. 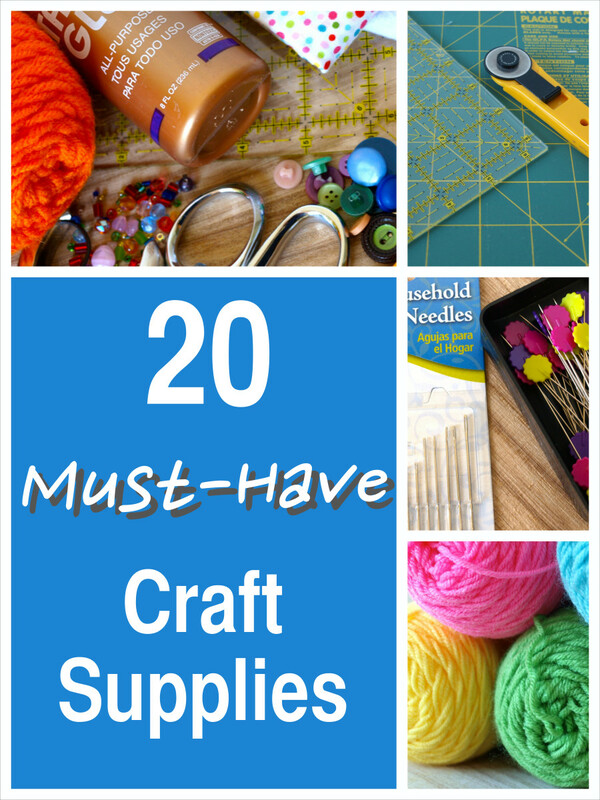 There are so many more tools that you may consider essential to your craft needs. We have only scratched the surface here. 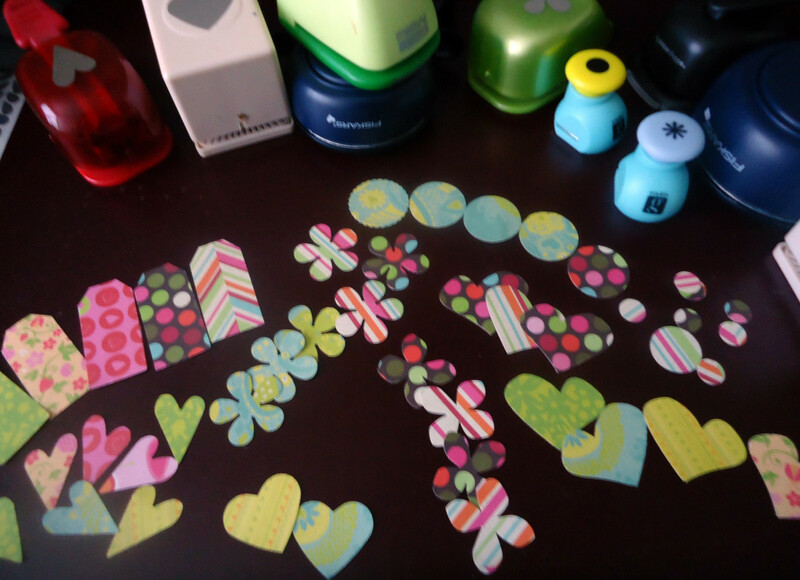 We have not gotten too specific because our task was to talk about the very essential tools for paper crafting. 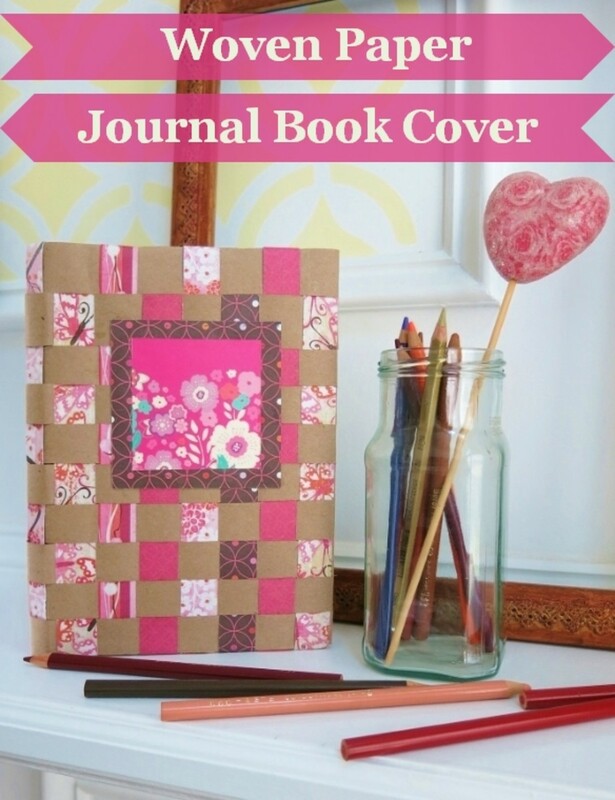 As you increase your sphere into things like stamping, scrapbooking, art journals. Bible journals, and so much more, your needs will increase with your interest, experience, and art. 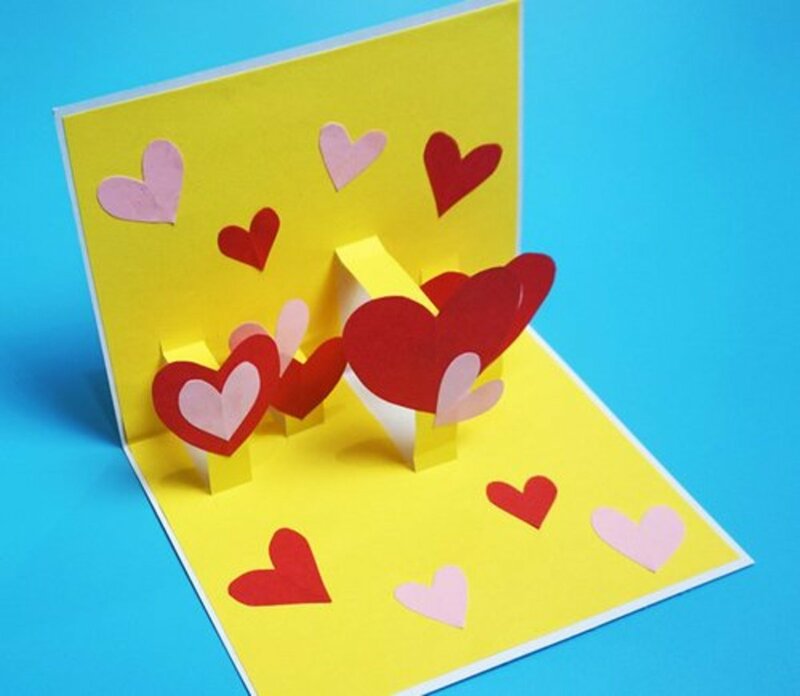 What Are Your Favorite Paper Craft Tools?